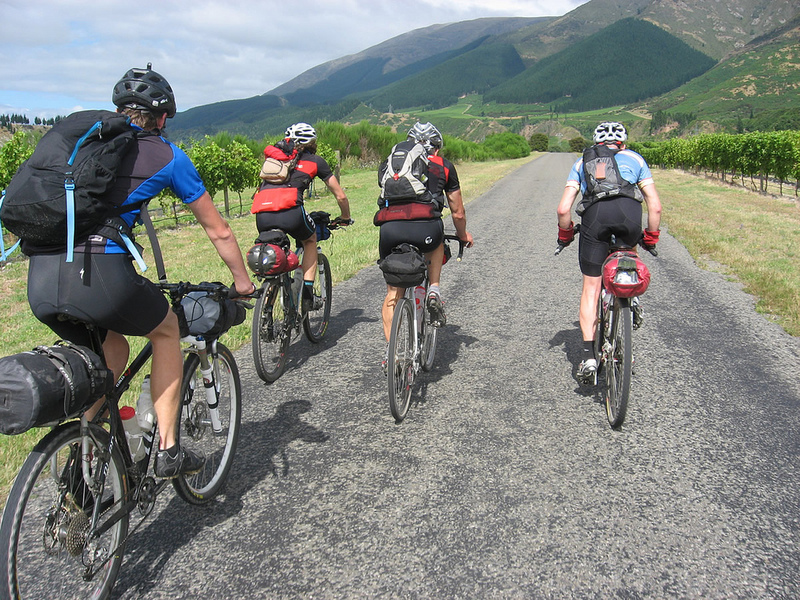 Day one of the Kiwi Brevet was a bit of a pressure cooker. It was run in the reverse direction to last time. 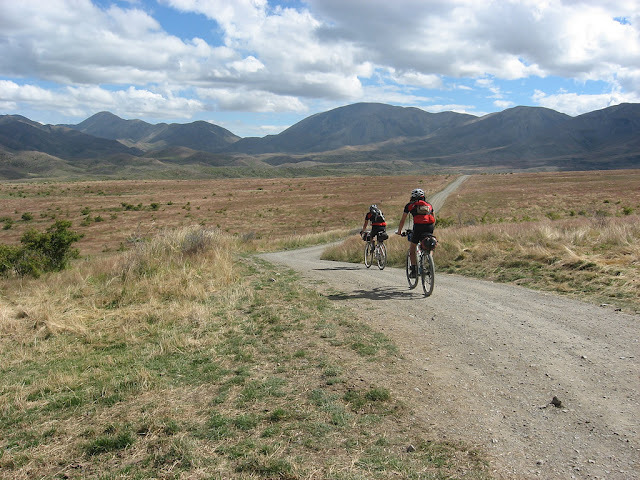 We had a deadline to travel 118kms to get to the Molesworth station gates by 5pm, and we had no idea how long it was going to take. In the end we needn't have worried as we got there with 2 hours to spare, but in the process we cooked poor Jonty with our 21kmh average uphill speed. 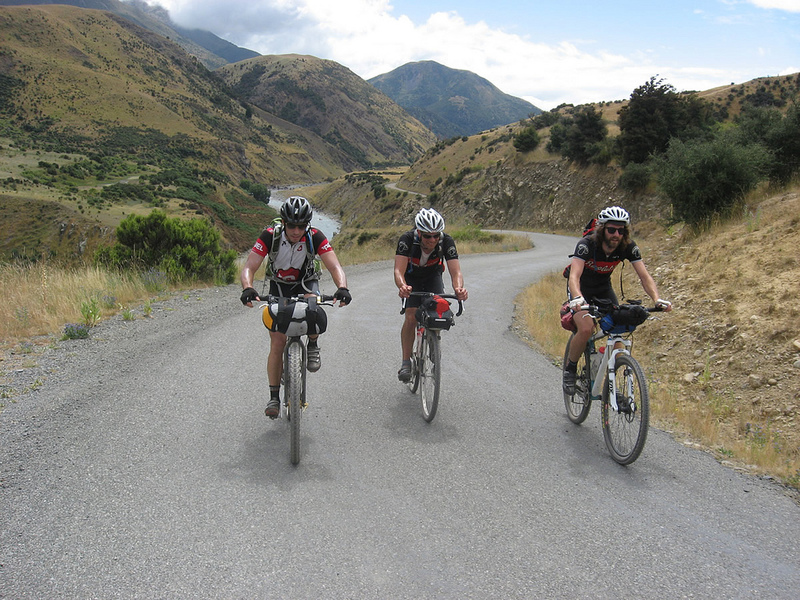 It also caused unnecessary trauma to both Andy King and Matt Gerstenberger who were also in our little group. On the way we observed the damage done to some pretty classy riders as they struggled with a combination of heat, pace, and I suspect skimping on the water. 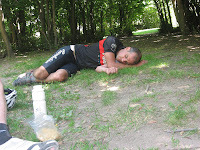 We caught up to Great Divide Rider Lance Griffen who was looking a bit worse for wear, and desperate for more liquid. It was easy to see that he was an ex single-speeder as he rode standing up a lot of the time, skidding his rear wheel with each power pulse. 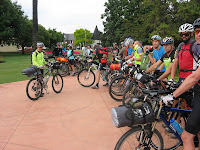 The cool tail wind was kind to us and it was a great feeling to stand atop some of the high points and be cooled down by the gentle cool air. 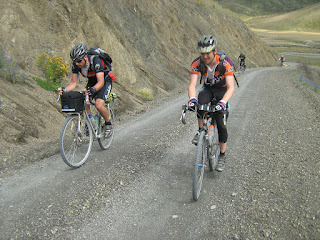 The two singlespeed riders in the Brevet ( David Kleinjan - Gryphon Singular, and Stephen Butterworth - Lynskey Pro29 ) were impressive and the hilly nature of the course meant that to stay on top of their gear they really needed to ride a lot faster than we were. They did. 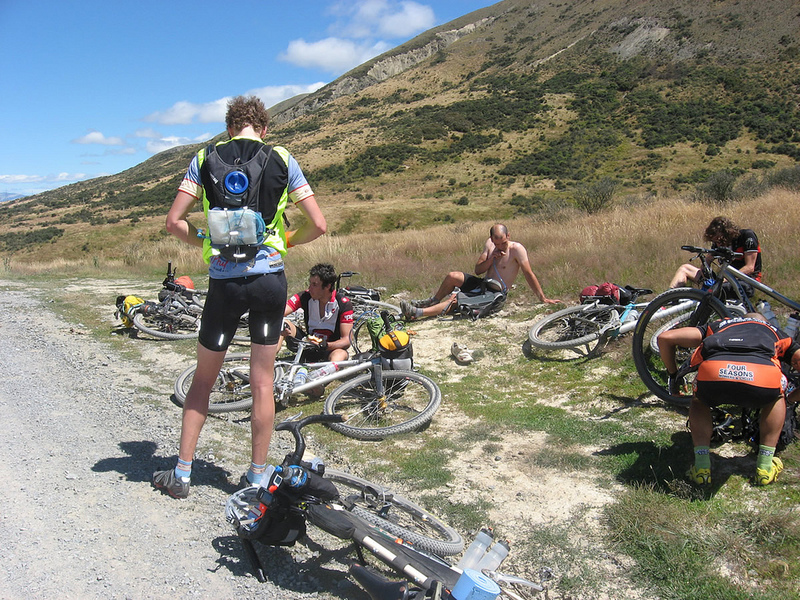 As we reached the Molesworth station water point, we met a few other riders who were resting up from the earlier pace, and as we waited some more turned up. Geoff Blance, recovering from the Great Southern Brevet the week before had been riding with Thomas Lindup and gave us a bit of a report on what had been happening up front. 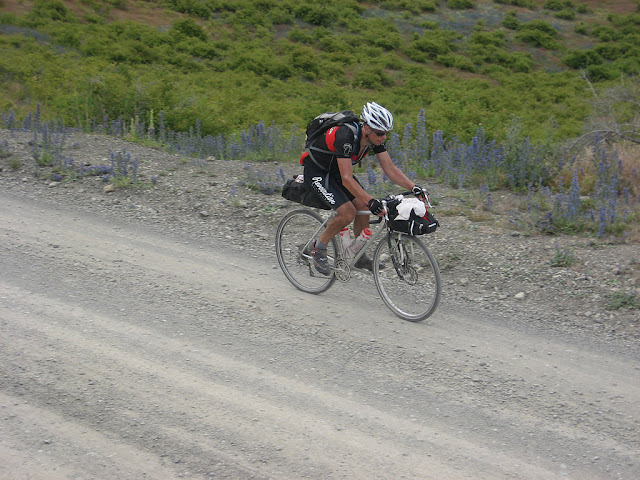 Not long after, he left with Lance Griffen in tow, and they ended up doing the entire Brevet together. Darren Tatom had been suffering with cramps, and he turned up, as did Peter Maindonald, Scott Emmens and Nathan Mawkes. 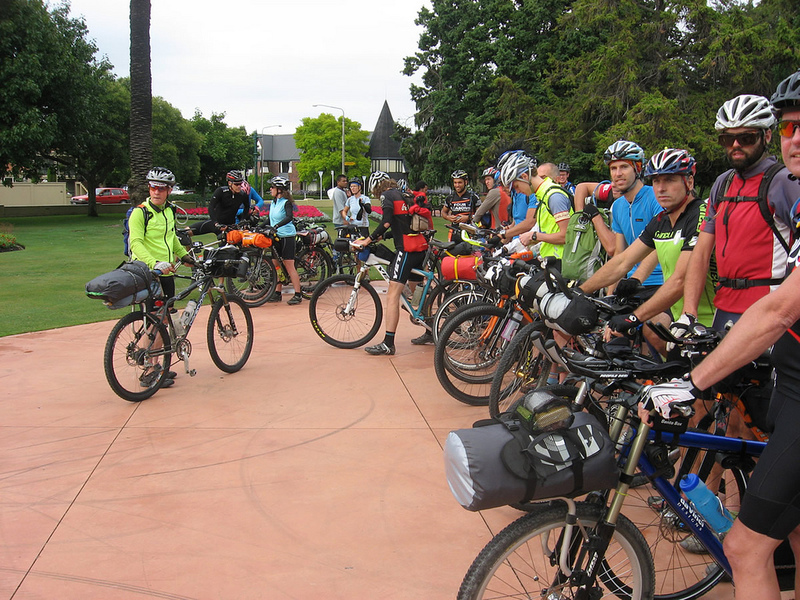 Most of these guys refueled and took off fairly smartly but we hung around to rest Jonty into better shape. By that time, Matt and Andy were back in the fold and it was game on again. Matt took off for an early start and it was to be a good while before we pulled him back. Some time later Alex and I were smacking away on the aero bars into the now persistent headwind as we headed for Jollies pass. Alex suggested that it was getting "challenging" so we pulled over for a Muesli bar or two. No sooner had we done this than Jonty turned up. The twinkle was back in his eye and the power back in his legs! Andy also turned up a few minutes later and we shared his big bottle of coke. The Molesworth itself was devoid of most of the corrugations that messed with our heads and butts last time, but the head wind as we entered the last 30 or so kilometres was a bit tough on us. 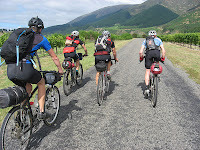 We got to the Acheron accommodation house where we finally caught Matt who had been resting for about 10 mins, and we regrouped and headed off for Jollies pass and Hanmer. The decent down Jollies was nothing to write home about, a bit rough, and Alex had a close call with a car we met driving up it. 200kms rolled over on my computer as we hit Hanmer around 9pm, and we stocked up on fast food for tea. Matt turned up not much later and scored some nice vegan Thai food. Hanmer's accommodation was all gone so it was out with the bivvy sacks and into the camping ground. At least they had washing machines and driers which we put our dirty clothes in. It was quite warm that night so I didn't even need my bivvy bag.